Michigan is one of the biggest cities of the USA. If you live nearby, a visit to the Miller Auditorium Michigan University is must! It was built in the late 60s and the auditorium is named under the name of the third president of the university, James.W Miller. It has a very comfortable seating arrangement and round about 3500 people could be easily seated. There are a couple of very well arranged seating sections, including the Grand Tier level, the Orchestra level and the Balcony level. Whatever view you like the most, just secure it before hand, and it's yours for the rest of the event. People who've got children could separately sit in the balcony if they want to. Miller stands among the fourth largest and the most popular auditorium in Michigan. The university has a great reputation throughout the world. Many mega concerts and other theatrical shows have taken place over here. Worldwide renowned artists come on and off to give awesome performances. If you don't belong to the university, it doesn't matter at all. Everybody would be treated nicely and each one of you has the right to come and enjoy as much as you want. Children, friends and couples are all allowed to come and attend any show they want to. They've always had the best events in town, don't miss out the upcoming one. It's going to be legendary! Some of the outstanding Broadway shows have been hosted over here such as Beauty and the Beast, Chicago and Phantom of the Opera. Besides that, many awesome stand-up comedians including Dave Chapelle, Collin Mochrie and Brad Sherwood have performed over here. People having different tastes could be easily entertained as there is a long list of events going on. The students plus the Kalamazoo Symphony Orchestra also come up with various shows throughout the year. This place is very happening and all the time there's something going on over here. It is 200% loaded with fun and there's not a moment when there isn't any event or ceremony taking place. If you've been going somewhere else and never visited this place, then you're forgoing the best entertainment spot in town without any reason. The auditorium is huge, the ambiance is great and the audience is civilized. All the residents of Michigan must secure the best spots right away. You are lucky to have such an awesome venue so close to you. Whatever show you wish to watch here, it's going to come up to your expectations for sure. Everything is very well managed and you can also enjoy all sorts of refreshments here. You won't regret this. Miller Auditorium of the Michigan University is one awesome place. Your visit is mandatory! And Entertainment is guaranteed! Bring along anyone you want to and enjoy the exciting moments of your life. The show of the century is just a few tickets away from you! 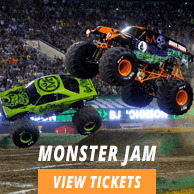 Get your Michigan Tickets now! 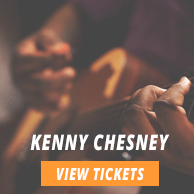 The average Miller Auditorium - Western Michigan University Tickets price will cost you between $156 and $321, if you are looking for the cheapest seats then catch the event being held at the Miller Auditorium - Western Michigan University, Kalamazoo on 20/11/2019. The average ticket will cost you the highest on 15/05/2020 at the Miller Auditorium - Western Michigan University, Kalamazoo. Minimum get in price is for Miller Auditorium - Western Michigan University Tickets is $85 for the event being held at the Miller Auditorium - Western Michigan University, Kalamazoo on 20/11/2019 , there are some venues that have a much higher get in price, for instance the cheapest seats at the Miller Auditorium - Western Michigan University, Kalamazoo on 15/05/2020 will set you back $125. Can i get miller auditorium side grand tier seats? Yes, you sure can get the seats in the section of your choice. Order Miller Auditorium Western Michigan University Tickets right away.